This is a satelite photo from Google Earth. 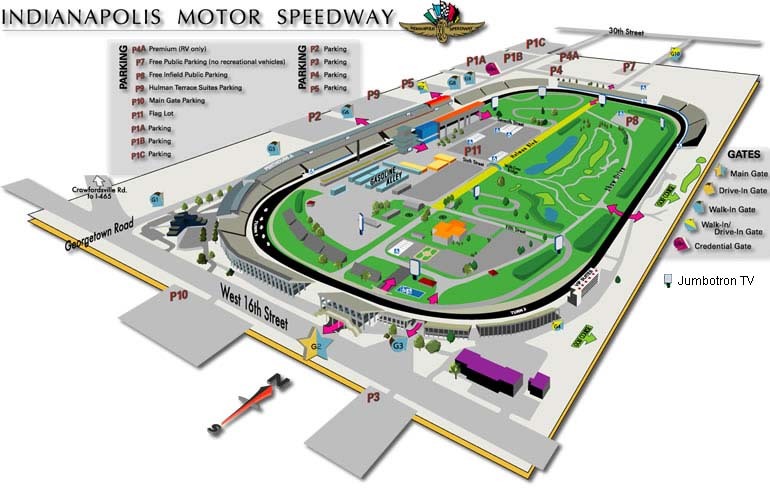 The oval track is 2.50 miles around. 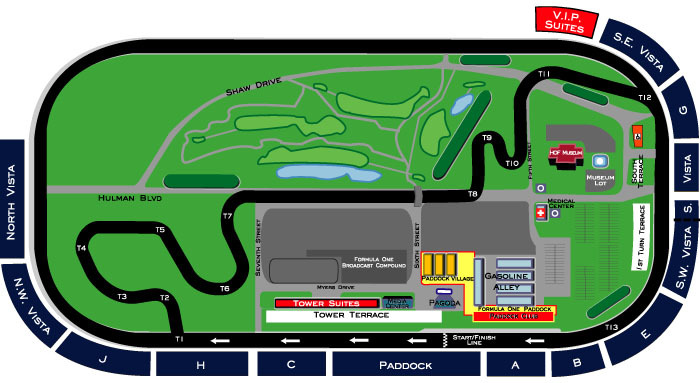 The road course is 2.54 miles around. The South Side car entrance is directly on 16th street. You can only enter from the west-bound lanes! There are some foot traffic entrances over by the SE Vista. The West Side vehicle entrance is directly on Georgetown Road. There are numerous other entrances for foot traffic along this street. The North Side entrance is accessed off of 30th street. 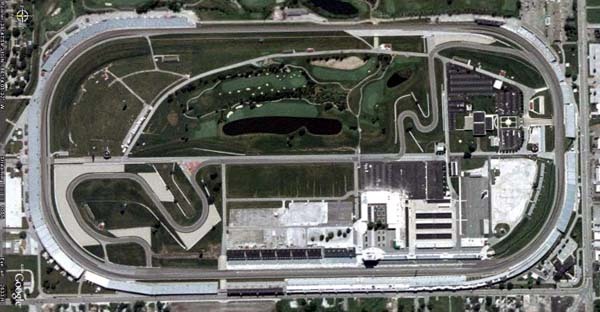 Once turning off of 30th, you must travel about a 8-lane driveway for a third of a mile to get in to the track. There is a foot traffic entrance over by the NorthEast Vista. Not all enterances are open until race day. 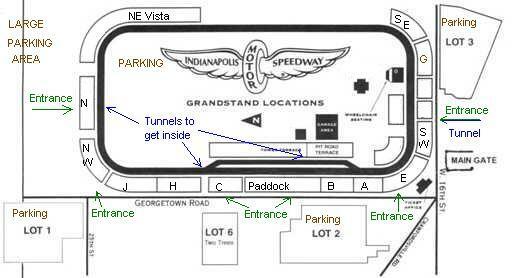 Copyright © 1996-2006 IndySpeedway.com All Rights Reserved. Created Dec. 26 1996.